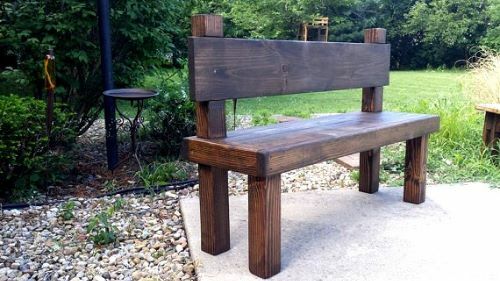 Wooden bench, a perfect addition to your home, whether indoors or outdoors. Wooden benches are not only environmentally friendly. 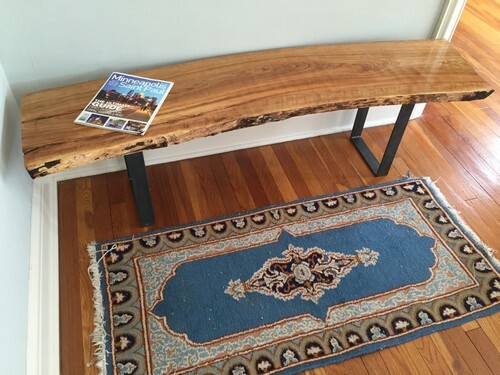 Most of them serve more purposes than what is obvious: some wooden benches can serve as your step-stool and bench in one, some can be your storage bench while others can be your coffee table. No matter what functions you need, your home definitely needs one of these wooden benches. You may need a garden bench, an indoor bench, or a bench in the office. 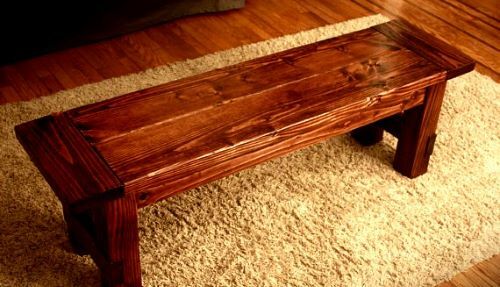 Here is a collection of the best wooden benches for you. There are indoor wooden benches and outdoor wooden benches. You just need to decide which functionality you need most then choose from these awesome picks! 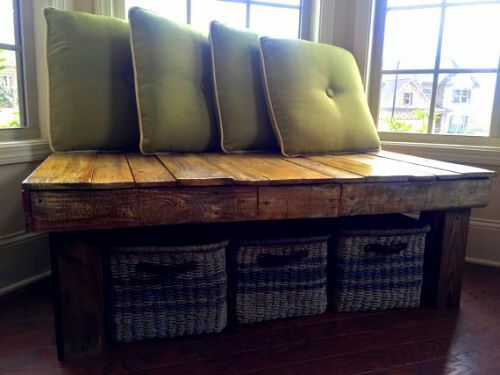 This wide rustic wooden bench is made of pallets, cedarwood, and reclaimed wood. 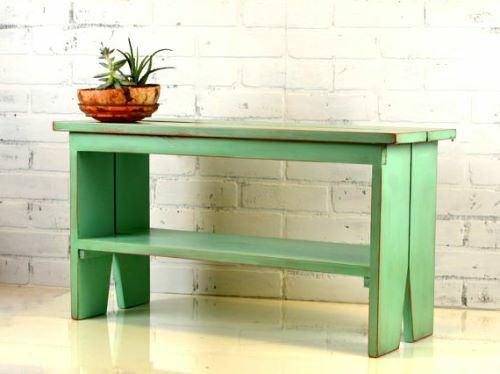 It can serve as your entryway bench or coffee table. Cedar wood is light but sturdy. It is an ideal wood used in any home furniture because of its weight; you can easily move it to any part of the house. You can place the bench near the window. Just add some pillow and you got yourself an amazing place to study or read. The dimensions are customizable too and you can have one made for the size of your place. What a cute addition to your kid’s room, isn’t it? It can also be perfect for your living room and playroom. 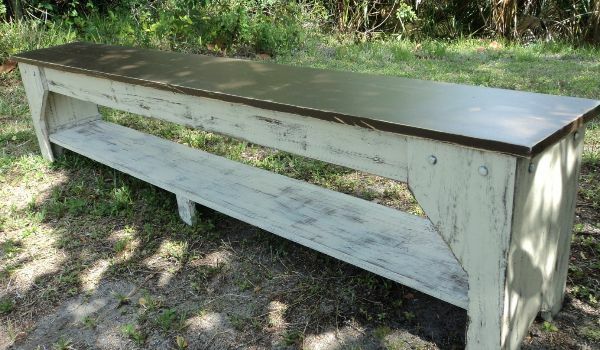 This children’s wooden bench is made of pine and plywood plus coated with milk paint and latex. Not only will you have a wooden bench for your kids, but also you will instantly have a toy box. Your kids will both have a comfortable bench to sit on and a good place to keep their toys organized. On one hand, this is another picture-perfect wooden bench made in the United States. This wooden bench features turned wood from the top to its legs. It features classy and clean edges with a chalk paint finish. Adding this luxurious bench will definitely bring your room together and give your home a good statement. You can place it in your home’s entryway, porch, dining room, and even in the garden. This wooden bench is made of poplar wood. It is small enough to fit in small spaces at home. 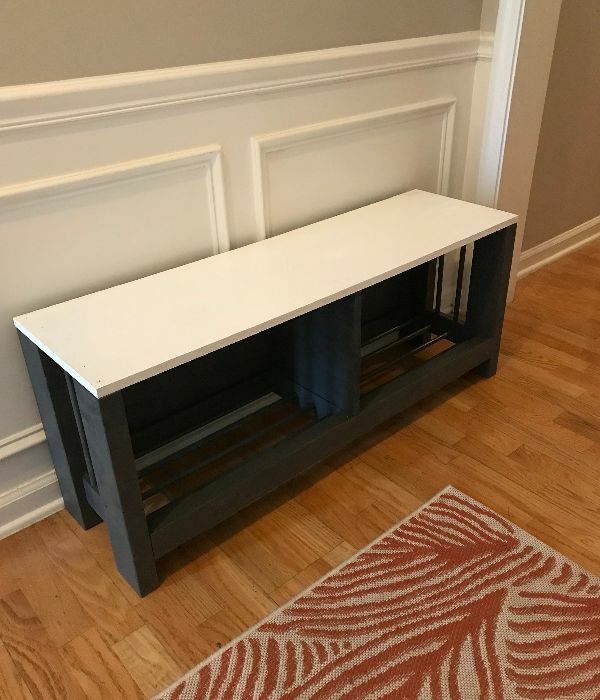 Not only does it make an ideal bench, you can also use it as a step-stool or a shoe storage because it features an undershelf that is perfect for you to step on or keep your footwear. The design is simple yet captivating. 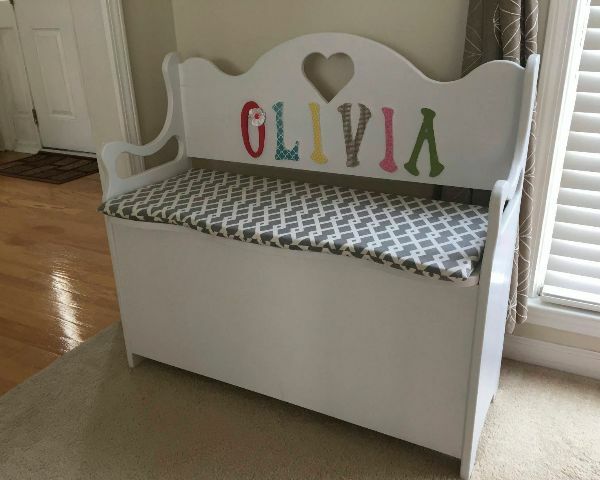 You can get your own version of this bench painted, stained, or dyed. There are many color options for you to choose from: deep orange, coral, red, and white. All of these colors feature a vintage vibe on the bench. What we love most about this bench is the ease of getting it. It is ready to use. You do not have to spend time assembling the bench. It will be sent to you as it is on the photo! Meanwhile, this solid wooden bench is made of Douglas fir. The handmade bench is crafted with the traditional mortise-and-tenon joinery. This step ensures that the bench will last from generation to generation. The finish of the bench features four coats of Polywhey for a lasting beauty. You can place this bench in your living room to welcome guests. Get your own eco-friendly bench now! If you have a friend who is getting married this year and is just starting to establish his or her home, you are in the right place! This is your chance to have the perfect bench for your wedding gift. This bench is an amazing present for the bride and the groom. It is highly practical and the newlywed couple will surely benefit from your gift. For rustically inspired gardens, this wooden bench is the best addition. It features reclaimed wood, pallet wood, barn wood, pine, oak, and black walnut wood. Not only does it look awesome outdoors, but you can also place it on entryways and bedrooms. The bench is designed with pocket hole construction which means that there is no visible screw on the bench. You can now avoid getting ripped clothes because of bad nail work. You are also safe from rusty and deadly nails. Additionally, the top of this bench is wide enough for comfortable sitting. How gorgeous is this handmade wooden bench? This is a country cottage style wooden bench that is ideal for indoor and outdoor use. 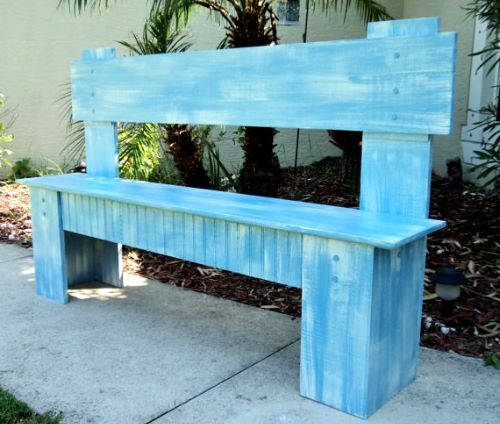 If you love blue, this country house blue bench that is distressed in white shades will be suitable for your taste. You can add this to your living room and have that cozy vibe for your guests. It is also ideal for your working space. Blue motivates productivity so it can help you be more motivated to work. You can give your guest a comfortable bench with its high backing. 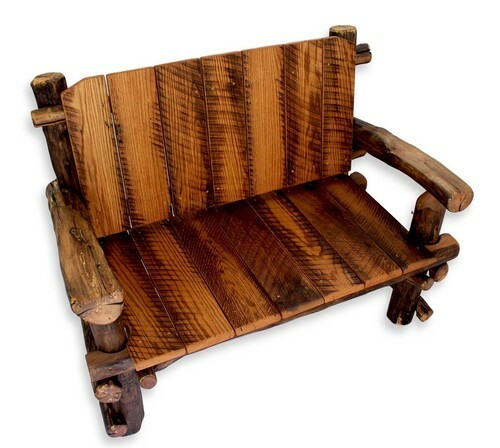 This wide rustic wooden bench for your living room will elevate the interior or your home. This bench features solid pine wood. The puritan pine top of this bench is lightly distwood. and antiqued while the base and legs of the bench are highly antiqued with white paint. The intricate designs and cuts of this bench will bring more style to the design of your room. 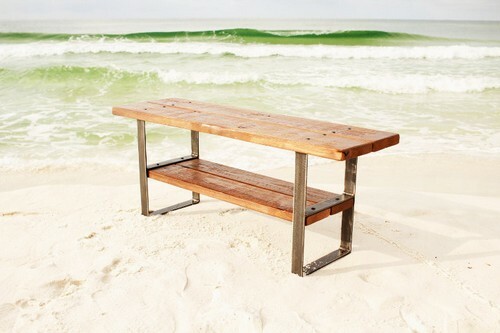 In contrast, this long outdoor wooden bench is crafted with pine, reclaimed wood, and wrought iron. It is an environmentally friendly bench. It is a versatile bench that doubles as an outdoor furniture and conversation piece. It is also an ideal park bench. This bench is designed with the influences of Antebellum South. It’s a good place to sit on after an exhausting job or jog. The bench is designed to bounce gently when seated on. This is a good way to provide comfort to anyone without the need for a cushion. 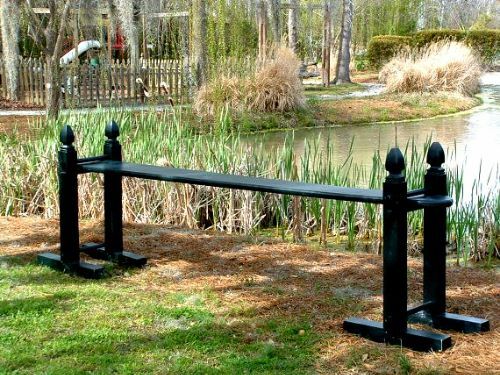 In addition, the bench joggling board will never rust nor accumulate mildew or molds. The bench features an environmentally friendly water-based exterior finish. This outdoor furniture grade finish will withstand years of sun and rain, hot and cold. This is our favorite bench because of the fun it brings. It is loved by children and adults. The joggling board can rock from side to side like a rocking chair or bounce up and down like a porch swing. Place this outside for your guests and expect a fun-filled conversation all day! Like what we always say, a furniture should be both fun and functional! An unfinished wooden bench glider that features Western red cedar and stainless steel hardware is our next choice. Western Cedar is a richly textured wood with a beautiful grain. Not only that, the cedar used in this bench has an incredible thermal coefficient which means that even if you sit on it on a hot summer day, it is likely for it to still be cool. You can sit on the bench comfortably during the hot season. This comfortable bench is a great addition to your porch or deck! Sit and glide on this bench and the passing time will be unnoticeable for you. You would only want to stay here for hours! Since this bench is unfinished, you will get wood colors that range from light to deep brown. The bench also has a good resistance to bacteria and fungi. It ensured a longer life for the bench even through bad weathers. The bench also features waterproof adhesives and stainless steel fasteners which will be strong from wearing off through different weather conditions. This wide beach house wooden bench features beautiful layers. It is perfect for lake houses, coastal houses, and homes. The wide top of this wooden bench offers comfortable sitting. Its beautiful color can be placed anywhere. Bring that fairytale vibe on your garden with this bench! As heavy and sturdy as it looks, this bench features reclaimed dark walnut wood, douglas fir, and northern pine. It also features a plank back for you to lean on. The bench is perfectly imperfect. Its knot holes saw cuts, and beautiful grain patterns are visible. They serve as a unique design for the bench. 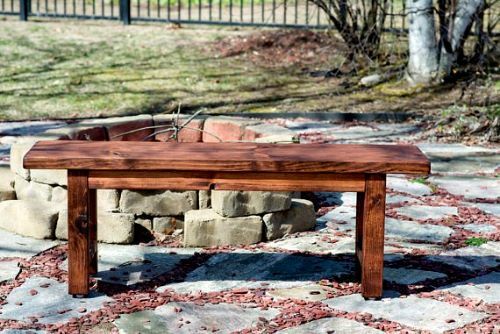 You can get this bench with the natural wood color. You can also get it painted free of charge! Mainly this Handmade Farmhouse Bench is suitable if you are searching for a bench with a casual country style. It is built of wood which is given a woodsy and distressed finished. You can place this bench in your porch, mudroom, or patio. In addition to that, you can likewise request for a smaller version of this bench. Last but definitely not the least on our list is this beautiful indoor bench. 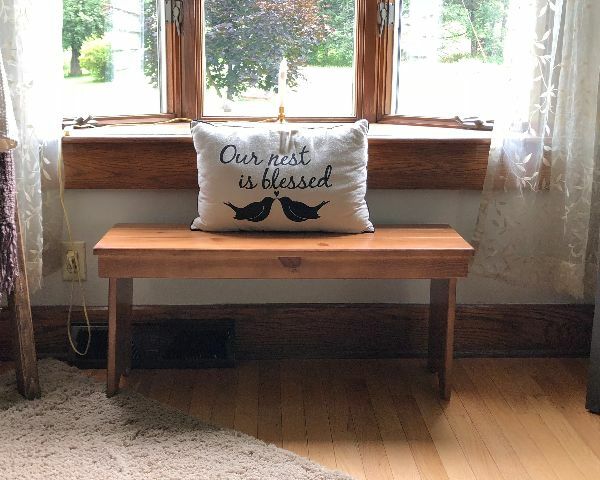 This farmhouse style bench is carefully handmade from sturdy pine wood. It has a charming natural wood grain finish ideal for your entryway, mudroom, and more. 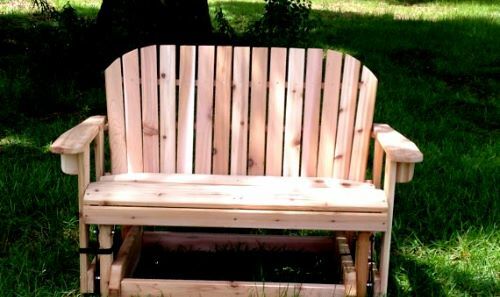 You can also simply watch your kids play in the yard while sitting on this bench. 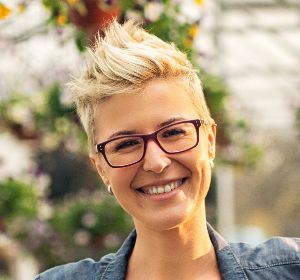 Whether you are looking for a unique wedding gift or simply searching for a bench where your family can build memories from, these wooden benches will help you achieve your goals. In getting a wooden bench, you should also consider the design, wood quality, and functions. Most benches on this list have more than one function. All you need to do is to pick wisely and follow your taste. Like what we always say. a wooden bench should both be fun and functional! Get one of these benches now and you will not regret a thing!